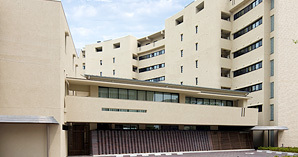 Construction of the “Minami-Senri International Plaza” where modern educational facilities and a dormitory for international students are included together was completed in April, 2012. 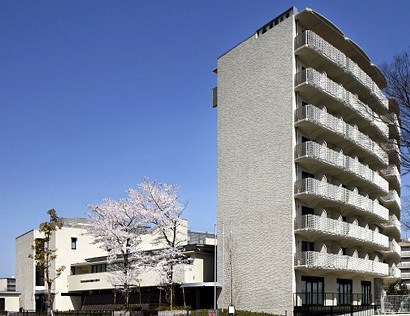 The location of the Plaza is very convenient being approximately 30 minutes away from downtown Osaka by train, and 15 minutes away by bike from the main campus of Kansai University in Senriyama. ICT (Information and Communication Technology) is an essential part of daily and university life in comtemporary Japanese society. ICT is the core of Bekka education and it offers extensive learning opportunities with e-learning inside and outside of the classrooms. Therefore students will develop information literacy skills as well as language proficiency. The majority of the places in the facility have wireless LAN. The facilities with are equipped with wireless. Each unit is composed of 6-7 rooms, shared kitchen, and lounge so that Bekka students can spend time with other students in the dormitory. 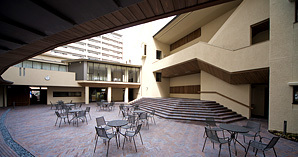 Resident assistants who are students at Kansai University have been living in the dorm to support the daily life of Bekka international students. ●Safe living environment with on-campus location. ●All rooms are single occupancy with privacy guaranteed. ●Toilet, bath, refrigerator, bedding, air conditioning and all necessary things are provided. For students who wish to live in an off-campus apartment. 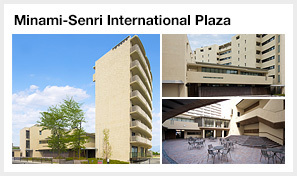 For students who wish to live in an off-campus apartment or housing, the National Student Information Center manages a rental housing search system for lodgings around the Minami-Senri International Plaza. Various housing information for security monitored student apartments with 24-hour support is available. Reservations can be made before entering Japan and inquiries can be made in 4 different foreign languages are also available. 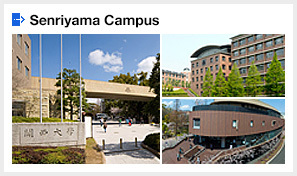 Additionally, all information registered with the National Student Information Center has no connection with Kansai University. Please contact the National Student Information Center for details.